As we’ve been telling you for months, heartland punks The Gaslight Anthem are set to make a return to Marathon Music Works in just a few short weeks, Oct. 8, along with punk staples Against Me! and Sweden’s Twopointeight. Not only are tickets still available here, but we’re so excited about the show that we wanted to tell you more about, and give you a chance to win a free pair! Read on to find out more. 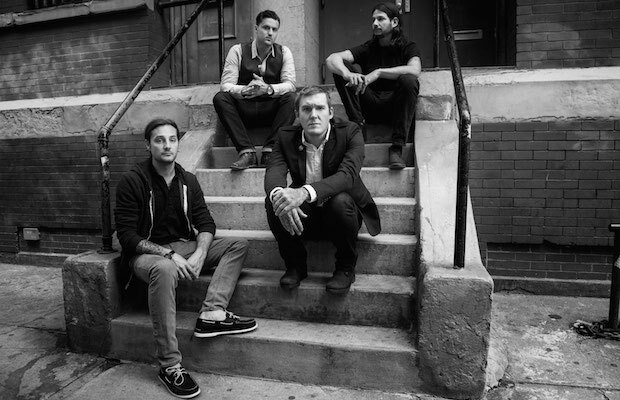 Celebrating the recent release of their fifth album, Get Hurt, which was recorded here in Nashville at Blackbird Studios with producer Mike Crossey, New Jersey’s The Gaslight Anthem have furthered their pursuit in perfecting arena-ready heartland rock with hard rock and punk sensibilities. While fans remain divided in favoring the raw punk edge on older releases like The ’59 Sound or the glossier, more accessible production and songwriting on more recent efforts such as Handwritten, all can agree that Get Hurt is the group’s most eclectic, well-rounded record to date. A live and earnest force to be reckoned with, The Gaslight Anthem seem especially energized whenever they come to Nashville. If you didn’t catch Against Me!‘s sold out stint at Mercy Lounge earlier this year, you missed out on a truly jaw-dropping performance. Out in support of their sixth and inarguably most important release, Transgender Dysphoria Blues, the band, who have seen lineup shakeups in recent years and whose frontwoman, Laura Jane Grace, publicly came out as transgender in 2012, have never been more energized, relevant, or passionate about their craft. One of punk’s most consistently amazing modern acts, Against Me! are a band you have to see live, and would be worth the cost of admission alone. Coupled with The Gaslight Anthem? You’d be crazy to miss it. Hailing from Stockholm, Sweden, punk quartet Twopointeight are an apparent favorite of Gaslight’s, and have been making splashes in the under ground scene and supporting some of punk’s biggest names on the road for over a decade. Enter to win tickets by filling out the form below. After you have entered, there will be the option to share this contest via social media. For each person that you refer to the contest, you will receive an additional entry. If you experience any trouble with the new contest widget, or have any questions, feel free to email us at [email protected]. Winner will be announced Monday, Oct. 6, at 5 p.m. CDT, and will receive one pair of tickets. Good luck! The Gaslight Anthem, Against Me!, and Twopointeight will perform Wednesday, Oct. 8, at Marathon Music Works. The show is 18+, begins at at 8 p.m. (doors at 7 p.m.), and tickets are available to purchase for $25.